Silent Auction at the Sustainable Buzz – What Treasure Will YOU Find? The 6th Annual Sustainable Buzz is just one week away on November 7, 2013. Get your tickets now! In addition to a beautiful venue and wonderful vendors, the Buzz will have a silent auction. A variety of items is offered for bid, from fishing trips to classes on mixology, brewing and juicing, from a private plane ride to an organic gardening package. The retail value of these items ranges from $75 to more than $1000. Bid and see if you come away with a bargain! 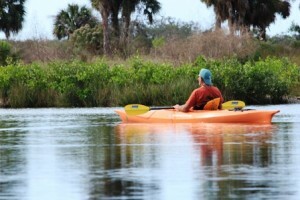 The Sustainable Buzz supports Tampa Bay’s quality of life. Many of the items offered are experiences – tours, tickets to events, memberships. You can spend enjoyable time together while treading lightly on the planet. In keeping with the “locavore “theme of the Buzz, all items come from local businesses and organizations. All proceeds support the Sustany® Foundations programs, including the Evergreen Schools Alliance, the Green Business Designation program, mini-grants to sustainable community projects, and more. So come out and bid on VIP tickets to the Gasparilla Music Festival, or adventuring down the Suwannee River, or tickets to a Tampa Bay Lightning game that includes a behind-the-scenes tour of the Forum’s sustainability efforts. You’ll receive a special experience for you and yours, and your support will make a lasting difference to the Sustany® Foundation’s programs.